Singer/songwriter who first gained attention for his hit 2011 song "The A Team," which went 4x platinum. 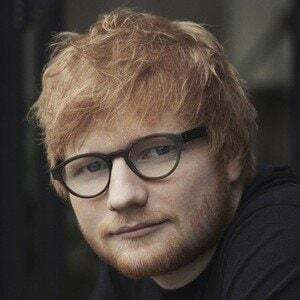 His 2014 single "Thinking Out Loud" earned him two Grammy Awards for Song of the Year and Best Pop Solo Performance. He moved to London when he was 16 to pursue a career in music and would play small gigs. He released his own EPs to gain exposure in the music industry. His album No. 5 Collaborations Project impressed both Elton John and Jamie Foxx. He co-wrote the song "Moments," which the English boyband One Direction made famous. His brother Matthew is also a singer. He is the cousin of TV presenter Gordon Burns and fellow musician Jethro Sheeran. In January of 2018, he got engaged to Cherry Seaborn. He previously dated fellow singer Ellie Goulding. He collaborated with Taylor Swift on her album Red.